Ireland deservedly cleaned up when the awards for 2018 were handed out in Monaco on Sunday night, but already thoughts are turning to the one that matters in Japan next year. The November window has closed and the reigning Six Nations champions have never taken the turn into the final stretch of a World Cup cycle in better shape, but how are their rivals faring? There are plenty of theories as to why the world champions have dropped off in 2018, but Steve Hansen won't be overly concerned as he looks to evolve his team's game. 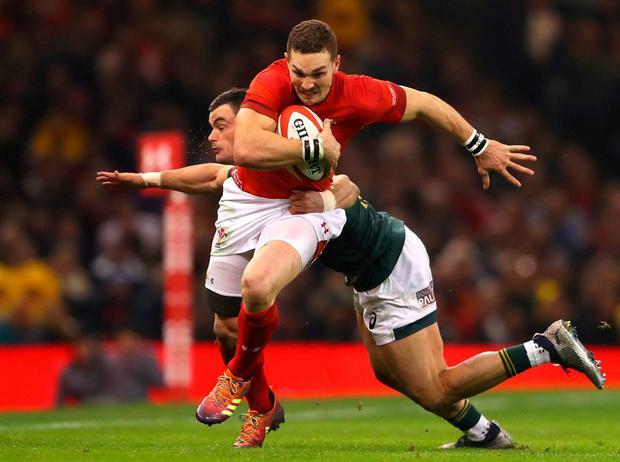 They remain the most dangerous team in world rugby, filled with the most talented players. This tour exposed chinks in their armour that weren't previously there, but given the experience and nous in their coaching ticket there is every chance they'll have ironed everything out by the time they take on South Africa in their opener. Still the team to beat. The team of 2018 look in fine fettle at the end of a near-perfect year. Joe Schmidt will hope to improve on an already-formidable game-plan over the course of a difficult Six Nations campaign that begins at home to England and ends away to Wales. Quietly, Warren Gatland has rebuilt his Wales team into real contenders for next year's tournaments. They rarely looked spectacular this month but they have developed a winning edge and proved too strong for South Africa, Scotland and Australia, while hammering Tonga. Wales will eye a favourable Six Nations schedule and fancy getting out of a World Cup pool featuring the Wallabies and Fiji, with England, France or Argentina all manageable quarter-final opponents. And Gatland would love a crack at Ireland in a semi-final. Eddie Jones appears to have steadied the ship and he's found some impressive players while doing so. Next, he'll be aiming to upset the Irish apple cart on that opening day in Dublin to make a World Cup statement. A pool featuring France and Argentina looks tricky, but manageable for a team on an upward curve. 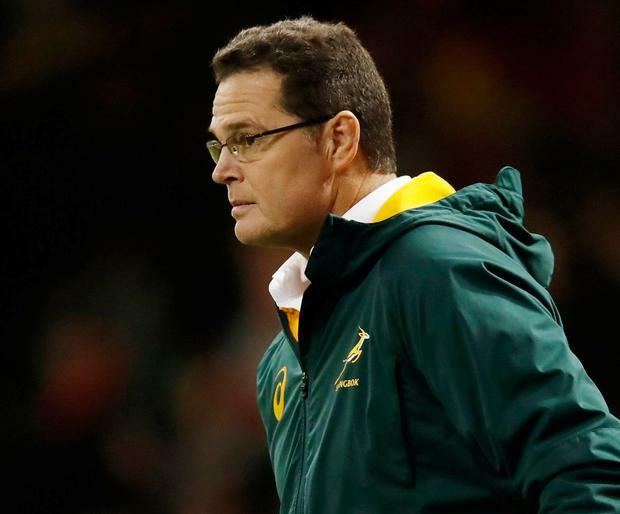 Rassie Erasmus won't be happy with losses to England and Wales, but there are still signs that the Boks are on the right track. Potential quarter-final opponents for Ireland, they are playing to their strengths and have a host of wide threats. The former Munster supremo has them playing as a team again and they'll hope to finish the year on a high against the Barbarians. The Wallabies are in freefall and Michael Cheika's job is under threat as discipline problems and poor results brought a poor 2018 to a close. Four wins in 13 Tests matches is well below what is expected of the Australians who will face a real battle to get out of their pool unless they make major improvements. Ireland's pool rivals had a middling month. Gregor Townsend used the window to experiment and will hope to have a more consistent approach for the Six Nations. They will feel they've a realistic chance of winning it and making a real statement when Ireland come to Edinburgh. Victory over France in Paris puts them in elite company with their highest world ranking ever and they'll go to Japan with a real shot of a first quarter-final appearance. There was progress, but Les Bleus finished the year with a disastrous loss to Fiji and the same questions linger over Jacques Brunel's side. Improving, but until their scrum issues are sorted they won't threaten England and France in their pool. The World Cup hosts lost to New Zealand and England and beat Russia. Ireland's Pool A opponents showed enough to suggest they're moving in the right direction and will be tricky prospect on home soil next year.